Summer holiday this year involved a gastronomic road trip around the beautiful region of Burgundy, France and a couple of days in Paris including a visit to the Palace of Versailles with its breathtaking and vast gardens. Paul West, a young Englishman, arrives in Paris to start a new job – and finds out what the French are really like. They do eat a lot of cheese, some of which smells like pigs’ droppings. They don’t wash their armpits with garlic soap. Going on strike really is the second national participation sport after pétanque. And, yes, they do use suppositories. 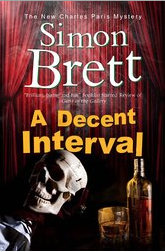 Review: Acerbic and fun this really is a hilarious read that doesn’t cower in the face of political correctness – the ongoing war between Paul West and his French employer is genius. The writing isn’t going to set the world alight it’s straightforward as if you’re having a conversation in a bar with Paul but it’s entertaining and perfect for reading aloud as you drive along the country roads. A super fan of BBC Radio 4’s adaptations of the Charles Paris mysteries by Simon Brett starring Bill Nighy in the starring role, I was bought some of the books for my birthday (the day we left for Paris) so I took one of the smaller ones with me. After a long period of ‘resting’, life is looking up for Charles Paris, who has been cast as the Ghost of Hamlet’s Father and First Gravedigger in a new production of Hamlet. But rehearsals are fraught. Ophelia is played by Katrina Selsey, who won the role through a television talent show. Hamlet himself is also played by a reality TV contestant, Jared Root – and the two young stars have rather different views of celebrity and the theatre than the more experienced members of the cast. But when the company reach the first staging post of their tour, the Grand Theatre Marlborough, matters get more serious, with one member of the company seriously injured in what appears to be an accident, and another dead. Review: Cosy murder mystery is one of my all time favourites and whilst reading I was accompanied by Bill Nighy’s voice narrating the book in my head. Clever characters, a satirical critique of stardom -and how the idea of talent has changed with the growth of reality shows and a sense of entitlement- coupled with a strong plot and lots of Scotch. As a character Charles really is a failure of a human being especially in his role of husband and father but you really can’t help but love him. 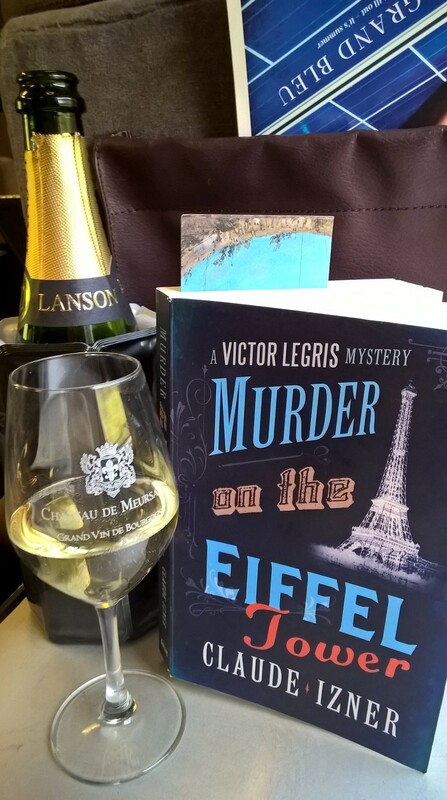 Visiting Paris and returning on the Eurostar a second murder mystery this time located in the iconic building at the time of the 1889 World Fair and written by two sisters who are booksellers along The Seine -you can’t get more Parisian than that. Review: Half way through the book and completely absorbed in the plot and the characters especially Tasha the flame haired artist whose secrets are plenty and her allure to men knows no bounds. At the beginning Victor comes across as quite precocious and has an obsessive mind -that lends itself to his later investigations into the murders- but he does grow on you, although his taste in women is questionable. The plot is complex and those in the frame for murder often end up dead enabling the twists and turns of the crime to tie you up in knots. A real page turner that will hold your imagination and attention until the very end.